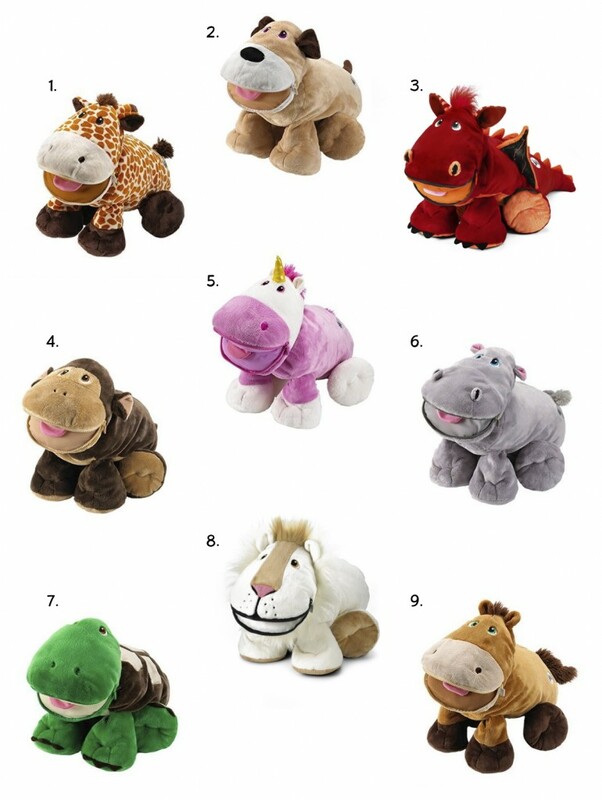 These award-winning animals make the perfect gift for a toddler! Stuffies are giving new meaning to the words “stuffed animal”: they have 7 secret pockets for kids to hide their “treasures” and each comes with a hidden interactive storybook. I was sold on this item when I read Stuffies‘ near-flawless reviews. Reviewers with children ages 2-10 rave about how much their kids love these toys. They’re “cuddly”, “durable”, and all-around “loveable”. I just ordered “Gracie the Hippo” for my almost-3-year-old nephew who loves collecting and carrying coins, sticks, and small toys! Below are links to view my favorite Stuffies on Amazon. Read the reviews and make sure to check out all 16 designs! 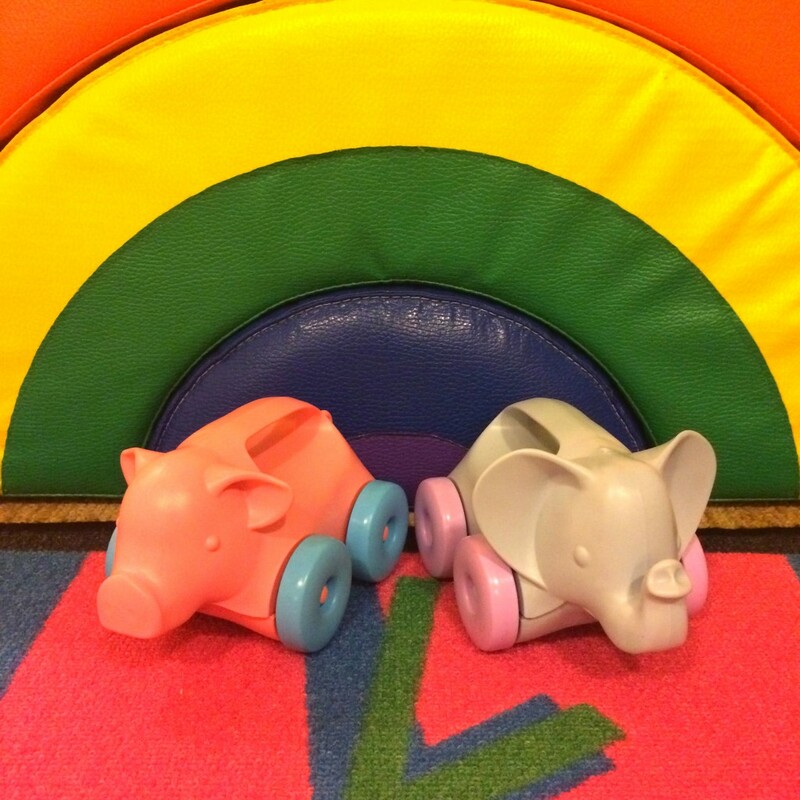 “Animals-on-Wheels” are the newest addition to TLB Music‘s indoor playspace! These adorable push toys by Green Toys are perfect for babies and toddlers: they’re sized for small hands, safe, durable, and really easy to clean. *”Animals-on-Wheels” are made from 100% recycled milk jugs. *Encourage fine and gross motor skills. *No sharp edges or metal axles. *No BPA, phthalates, or PVC. *3 adorable designs to choose from: elephant, pig, and turtle. 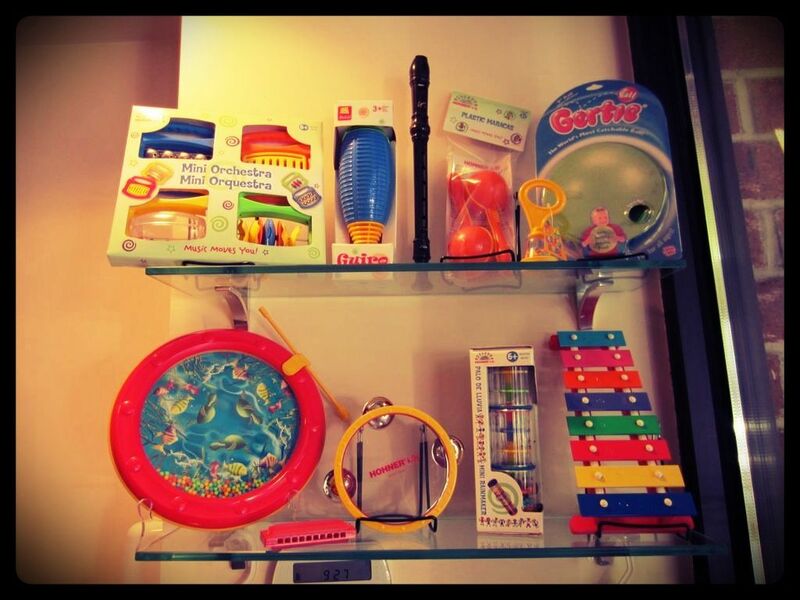 In the past 5 years, thousands of kids have visited our indoor playspace to play with the variety of eco-friendly toys we keep stocked. While other similar toys have needed replacing, the Green Toys items stand the test of time. Their trucks, kitchen sets, and stackers all look (almost) new and haven’t faded in color or function! I love that in addition to being eco-friendly and safe for babies and toddlers, they’re also extremely durable and long-lasting. Your kids will love stomping through the snow, leaving behind giant footprints. Easily attaches to shoes or boots! This mold makes snow “bricks” so kids can construct forts, igloos, walls, and castles! Make a snowball in seconds with this handy tool. This pulling-sled is ideal for young toddlers. With a high back and safety straps, your little one won’t miss out on outdoor winter fun! This practical mini shovel is perfect for small hands. This lightweight sled is easy for kids to carry up hills and is a favorite with reviewers who love its speed, its sleek look, and the fact that it can hold up to 250 pounds- meaning parents can get in on the fun! Take your snowball fight to the next level with a SnoFling. Tired of making your same old snowman? 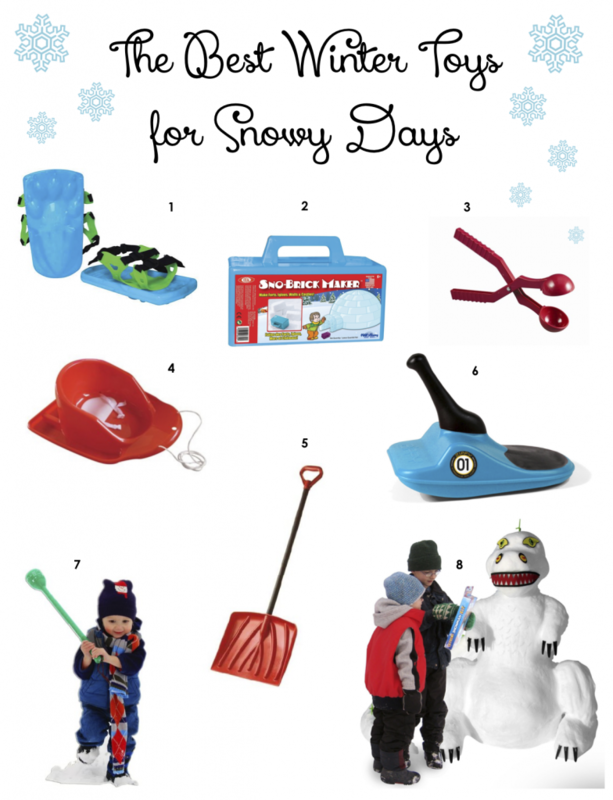 Update the classic snow sculpture with this adorable set! Wide Ideas Inc. also makes a snowman kit (level 1) and a snowbear kit (level 2). Gift shopping for the little ones in your life? 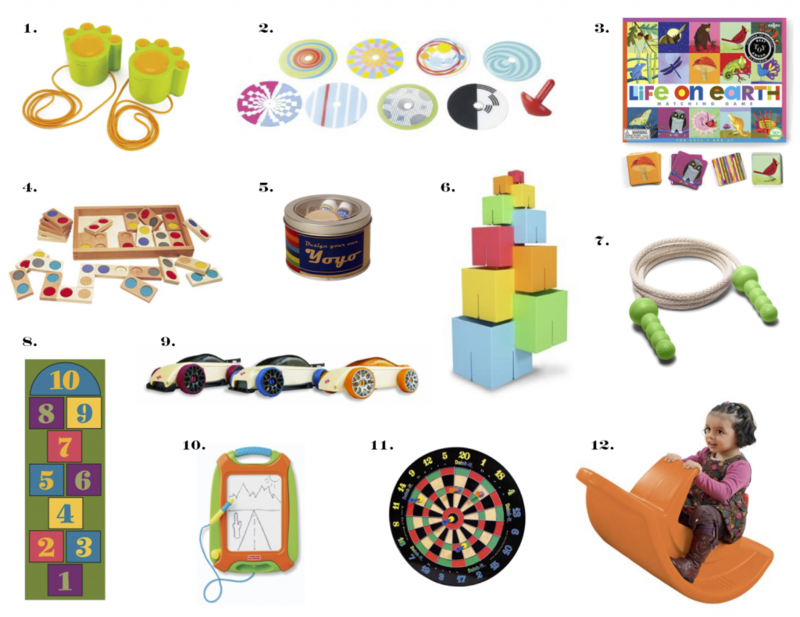 I put together a list of some of my favorite non-toxic, eco-friendly gifts for kids, including toys by environmentally-responsible companies like Green Toys, PlanToys, and Hape. I put together a guide of kids beach essentials filled with everything you need need to spend a summer day by the shore. 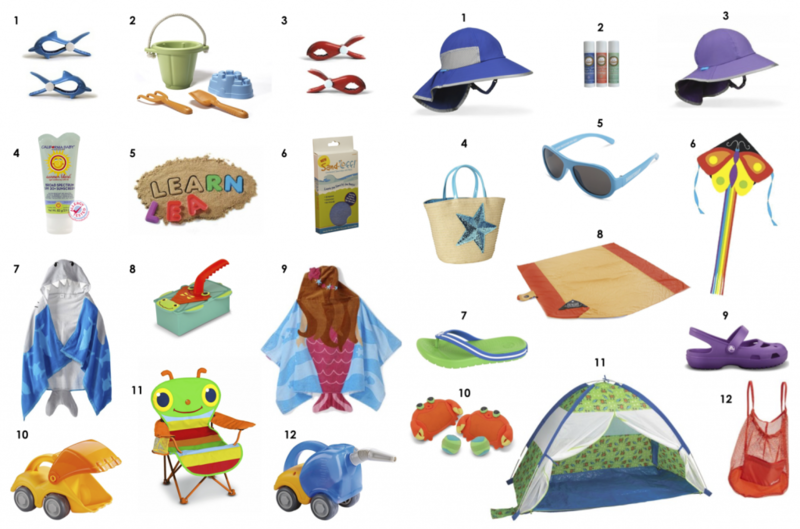 Sunscreen, sandals, towels, and trucks- keep reading for 24 must-have items! 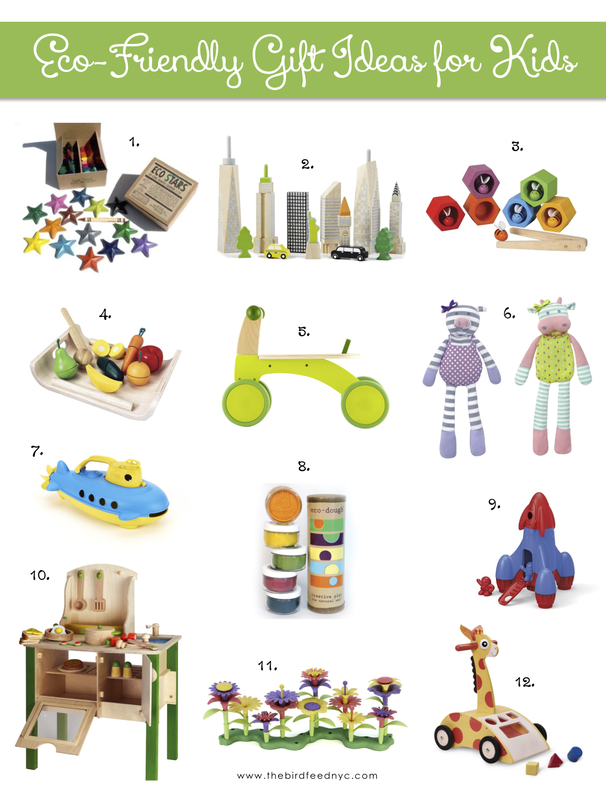 Click through for 10 of our favorite eco-friendly toys for kids! We put together a collection of classic toys and games designed with a stylish, modern aesthetic. No apps on this list and no batteries needed! We’re going back to basics with tops, blocks, hopscotch, darts, and dominoes! Move over tin cans! These steps are safe, sturdy, and perfect for walking in the sand. Your children will improve balance, coordination, and motor skills while leaving behind adorable cat paw prints along their path! This top set comes with 8 optical illusion disks to try! 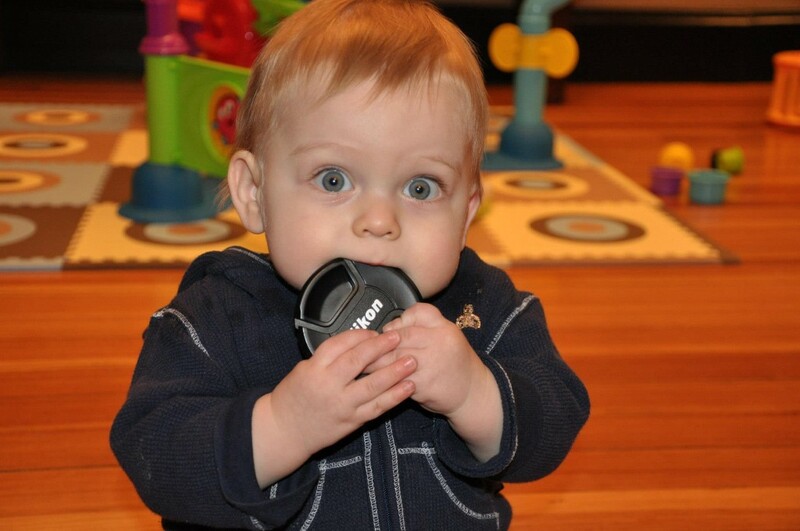 Hohner makes fantastic, durable musical instruments for young children. Almost all of the instruments our students play in our Upper East Side music studio are by Hohner. They are attractive, easy to clean, and have great sound! We put together a list of the 5 most popular.